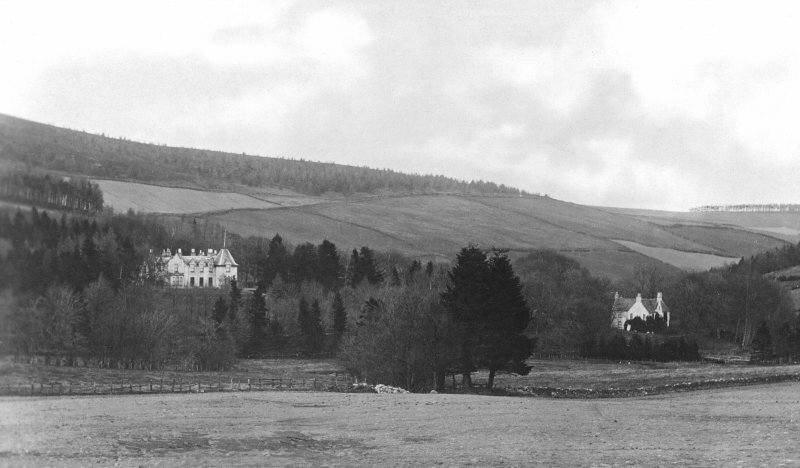 Postcard view of Cushnie House and Lodge. For Cushnie Lodge (Old House) see NJ51SW 7. 'Cushnie House' is depicted on the OS 1st Edition 6" map (Aberdeenshire, sheet LXII, 1874). Information from RCAHMS (HMLB), June 2001.